It’s a year since I was elected as the West of England’s first Mayor. My role is new, and it’s different. Heading up the West of England Combined Authority (WECA), I’m here to look at the big picture and those longer-term things that will make a difference to our residents’ lives. WECA’s three constituent councils – Bath & North East Somerset, Bristol and South Gloucestershire – came together to agree a devolution deal because they could see the value of collaboration. Planning at regional level makes sense – roads don’t end at council boundaries and many of us, including me, live, work and travel across the region. 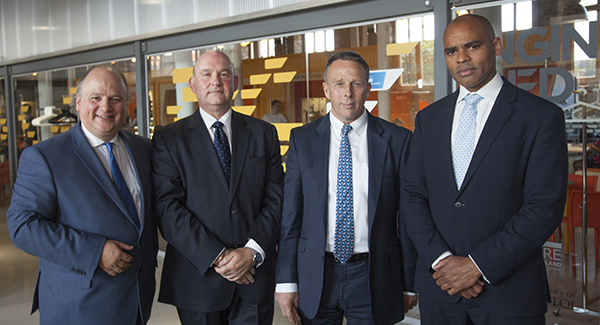 Over the past year I’ve worked with my colleagues, Marvin Rees, Mayor of Bristol; Cllr Tim Warren, Leader of Bath & North East Somerset Council, and Cllr Matthew Riddle, Leader of South Gloucestershire Council, to come up with ambitious new ideas that will benefit all of our residents. 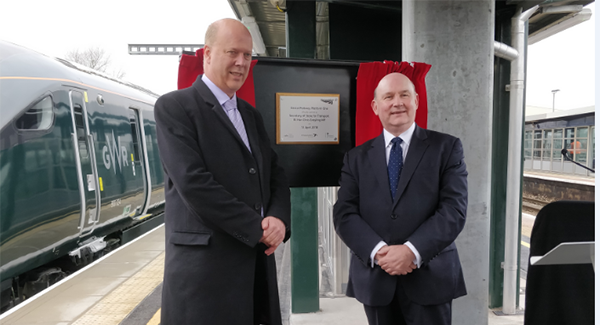 West of England Mayor, Tim Bowles with the Transport Minister, Chris Grayling MP, at Parkway station. We need to get our region moving, and we’ve already invested millions to look at how we can improve transport on the busiest routes – including rail, road and walking and cycling routes. I’m particularly passionate about improving suburban rail; I want to see more and better services and I’m talking to Government and Network Rail about this. Building more homes, particularly affordable homes, is a priority for us all. I’ve secured extra money from Government to help us build more homes, and we’re already working with our housing associations to ensure more affordable homes are built. We are an economically successful region where businesses start, grow and thrive in high numbers. Working with the West of England Local Enterprise Partnership, I want to support businesses to grow here. We have a good business support system in place – including the Growth Hub – but there is more we can do. I also want to ensure that we continue to support innovation, which is at the heart of so much of our success. I am committed to improving our residents’ skills and opportunities. We have many high-quality jobs and I want to ensure that locally-grown talent has every opportunity to secure those jobs. Residents must have the skills that our regional businesses need, not just now, but for the future. For example, who knew, 20 years ago, that coding would be such an important skill? Today we have the national Institute of Coding in our region, and we’re going to work with them to improve the digital skills of our workforce. We’ve also just launched Future Bright, which will support around 3000 people receiving in-work benefits into to better jobs. Another important aspect of my role is getting the West of England on the map. I’ve developed strong relationships with national government to ensure the West of England is seen as a key player. This has led to £150m in additional investment for our region over the past year. This wouldn’t be coming to our region without devolution, and I’m particularly proud that we’ve been able to secure such significant investment in our first year, as we’ve been setting up our new authority. I’ve also worked with the other Metro Mayors across England. We all see the value in devolving decision-making around those key things that affect our residents every day and we support each other in making representations to government. Much has been achieved over the past year, but there’s so much more to do. I will continue to work with others to secure further investment for our region, to ensure that the West of England is recognised nationally, and internationally, as a place of growth and innovation and a great place to live and work.